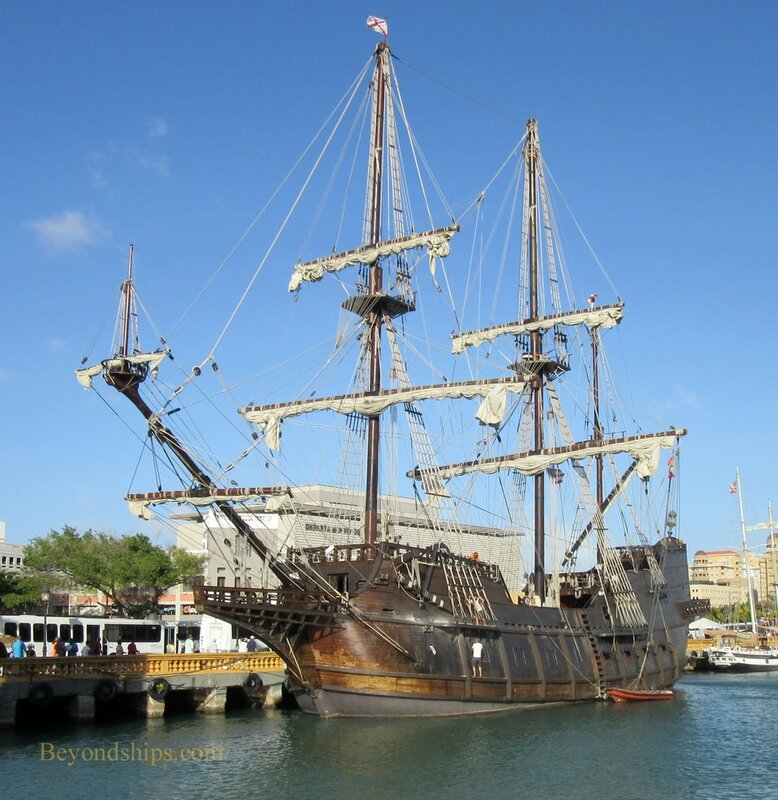 El Galeon is a replica of a 490 gross ton galleon. She is owned and operated by the Nao Victoria Foundation. Her designer was naval architect Ignaci Fernandez Vial. Work on the ship began with three years of research into galleons, their design and construction. Structural design work took another six months and then 17 months of construction. The ship was launched in November 2009 and her masts were placed and fitting out completed in 2010. Since her completion, El Galeon has traveled far and wide. She has been in the Atlantic, Pacific and Indian oceans as well as the Caribbean, the Red Sea, the Aegean Sea and the South China Sea. In the ports she visits the ship is usually open to the public. We visited the ship in San Juan, Puerto Rico. After paying the admission fee, visitors were free to roam the open decks, the officers quarters and the gun deck. 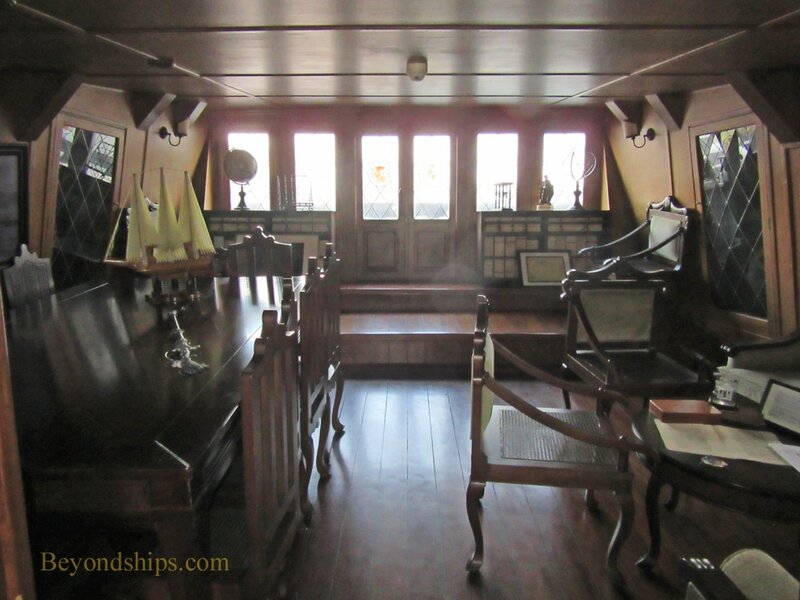 The open decks are populated with the equipment used in sailing a ship in the Age of Exploration. 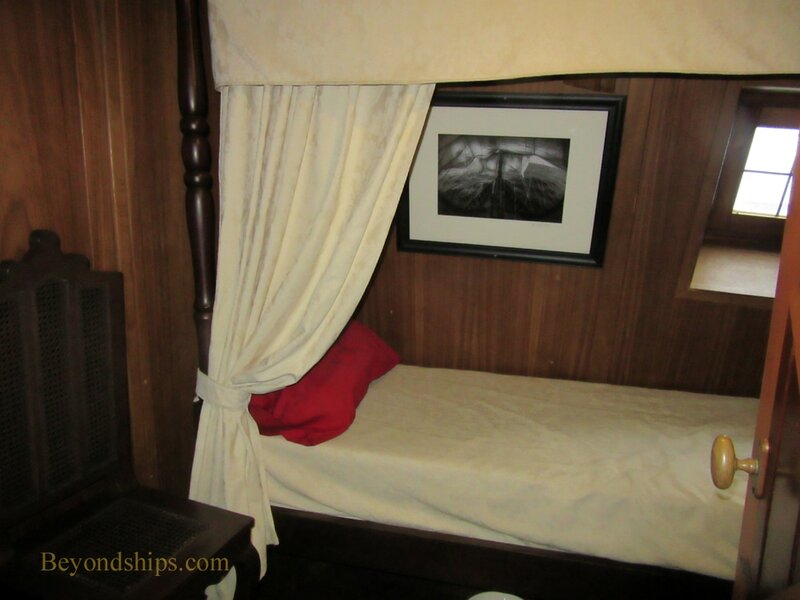 The large admiral's (or captain's) cabin has period furniture as do the smaller officers' cabins. Underscoring the hardships endured by the rest of the people on the ship, the cannons are the main furnishings on the gun deck Signs and exhibits provided insights into life on a galleon. The ship's crew ranges between 15 and 35 people. During our visit, we spoke to one crew member who was a professional mariner who said that he wanted to accumulate more time at sea for professional reasons. Another crew member said that he had joined in order to travel and see the world. The crew does not live in 15th century conditions. El Galeon has been equipped with modern technology but that is kept out of view in areas of the ship that the public does not visit. 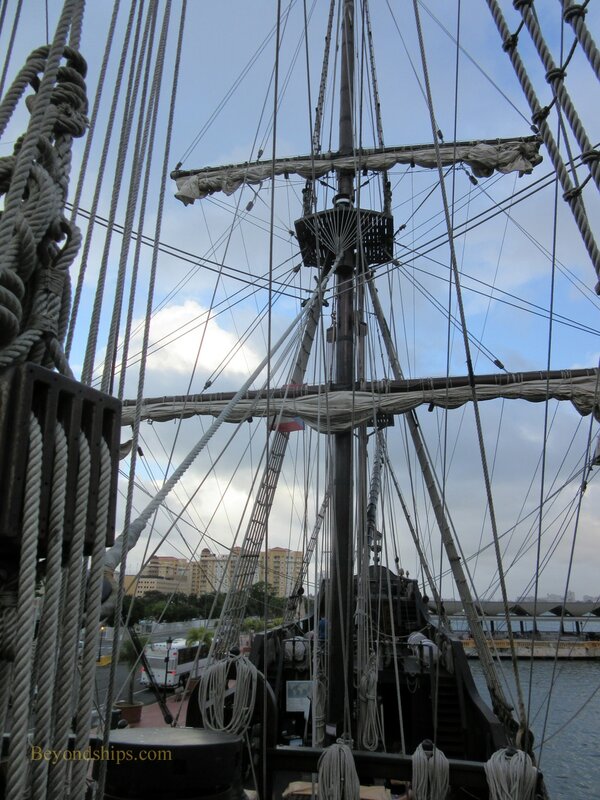 ​For more information about visiting El Galeon, see the Nao Victoria Foundation website.